We have great amount of experience in setting up SMTP servers used for bulk emailing or email marketing purpose. We are capable of setting up the backend email server infrastructure as well as the frontend management softwares like Aweber, Mailchimp & Interspire, phplist and other web server based scripts. Os installation, ubuntu, centos, redhat. Installation of PhpList, interspirre, and Oempro. PHP configuration as per script requirements. Database installation (MySQL) and configuration. Please let us know your Email setup requirements and how we can help you. Search engine optimization, social media marketing, and mobile marketing have taken over the world of marketing in the last few years. Does that mean email marketing is doomed? No, the rise in these other forms of online marketing does not spell the doom of email marketing. In fact, many business owners use email marketing to achieve greater returns on their investments. They also use it as a tool for creating strong relationships with their clients. If you want to enjoy the numerous benefits that come with email marketing, then you need to know how to use the platform effectively. Luckily, the market is flooded with email service providers and all you have to do is choose the one that suits your needs. Below are some of the most popular providers and their features. PowerMTA is one of the best bulk emailing enterprises in the world. It helps you tackle business challenges associated with digital messaging and integration of communication from customers. The service provider operates on a stable SMTP platform with granular connection controls that ensure your email marketing campaign is safe and secure. The best thing about PowerMTA is that it is easy to set up and configure. Moreover, it provides clients with real-time analysis encouraging good performance, deliverability, and manageability without the need to upgrade your hardware. If you are running a small business, then Aweber is the best choice bulk emailing service provider. Aweber developers believe in working together with their clients to understand their needs and come up with suitable solutions. 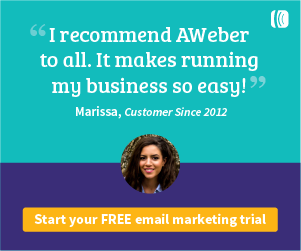 Using Aweber for your email campaigns offers you the following benefits. Amazon SES started as a simple emailing platform created by Amazon to communicate with their clients. Amazon spent years researching and analyzing the requirements of their clients and finally came up with the emailing platform. Amazon SES is highly reliable, scalable, and flexible. Today, many internationally recognized brands prefer it when it comes to bulk emailing. Amazon SES gives you an opportunity to have a reliable emailing provider that eliminates the complexity and cost of sending bulk emails. It applies to a pay-as-you-go system where you only pay for what you use hence making it cost effective. It uses Amazon’s websites cloud-based technology which enables it to send and receive billions of emails throughout the year and hence highly scalable. It uses content filtering technology that protects your identity as a sender and it ensures that your sent messages reach the recipient’s inbox.